In the area with lymphoid infiltration, the tubular architecture is largely lost. The tubular glands are less branched, the lamina propria and even the epithelium are massively infiltrated with lymphocytes. 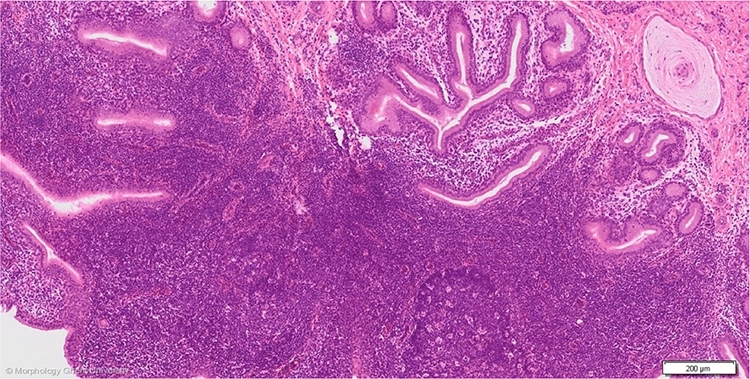 On the micrograph above, lymphoid follicles are also present. A large Herbst corpuscle is present close to the muscular layer.